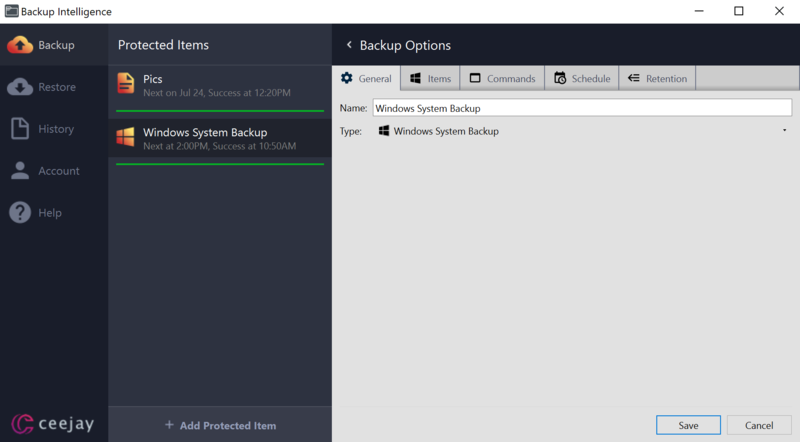 Backup Intelligence's Protected Items allow for a Windows System Backup type to be configured. A second hard drive is required. This is because Backup Intelligence needs to temporarily spool a VSS copy of your hard drive running Windows (usually C:\) to the second drive, and then upload this spool data as your backup to the cloud. This is necessary because the spool data needs to be static and not in use. 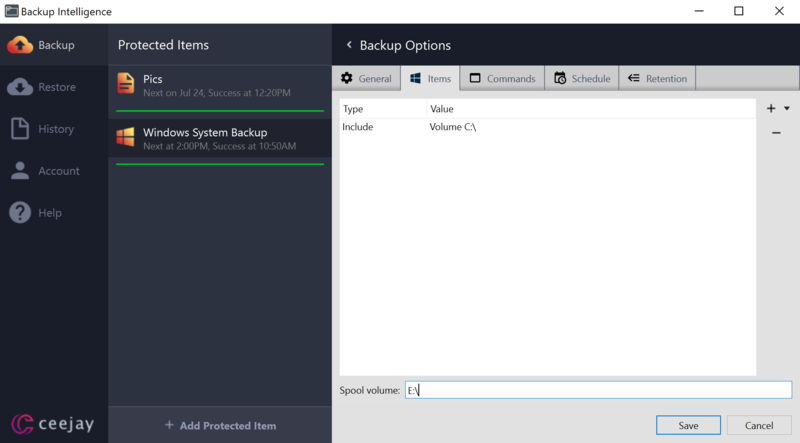 First make sure that your Protected Item's type is set to Windows System Backup as shown below. Next, under the Items tab make sure you have included your hard drive running Windows. This is usually "C:\" - click the plus button on the right and type this path in without quotation marks. You should now see it listed. And for your second drive that you will spool a copy of your Windows System to, type in the file path. In the example below I've chosen "E:\". Once finished, click Save and then run a manual backup to test and verify.